Let me explain you how to travel by public transport when visiting Stockholm, travelcards and prices and how to get around by underground, commuter trains, trams, buses and boats as there have been some modifications that simplified the system but still can be tricky for tourists visiting Stockholm. Public transportation or mass transit as other prefer to call it is managed by the company Storstockholms Lokaltrafik o SL. There are no longer ABC zones into which Stockholm was divided and thus a single ticket covers the entire city of Stockholm and outskirts. You pay a fix price and are able to travel for 75 minutes. Now you are able to travel even to Gnesta, Bålsta or Sigtuna without paying an extra fee. Some travel categories like “helt” (complete) or “reducerat” (reduced) which granted you access to lower prices have disappeared completely. Now you belong to one of these 4 categories: vuxen, pensionär, student, ungdom – adult, senior, student, youth (20 years or less!). If you are traveling with kids remember that they need not buy a valid transportation ticket if they are aged 6 years or less. There is no limit for the number of kids that can travel with an accompanying adult. During weekends, from Friday at 12 PM until Sunday at 12 AM every adult can be accompanied by up to 6 children aged 12 or less. This applies also to holidays and the previous day, midsommar and its previous day and from December 23rd at 12 PM until January 6th at 12 AM. So if you are planning to visit Stockholm during Christmas time or New Year your children under 12 need not pay for public transportation. When staying in Stockholm as an Erasmus student – or any other kind of exchange program of studies for that matter – you will need a valid SL student card with its logotype on it and study at least 75% of your time so that you can get a 75% discount on public transportation. Unfortunately this discount for students is not available for the regular student traveler visiting Stockholm. In Stockholm you can buy single travel tickets for public transport or buy a travel card called SL-Access, top it up with the desired amount and travel until no more funds are available. This is called reskassa and its way cheaper even for the sporadic commuter. The SL-Access card costs 20 SEK (~$3). Notice that this card is NOT the tourist visitor card Stockholm Pass which grants you access to museums, sights, attractions and boat trips. The SL-Access complements the Stockholm Pass offering a cheaper way to travel on public transportation in Stockholm. You can buy the SL-Access travel card along the Stockholm Pass or independently. Single ticket bought with the credit from your previously topped up SL-Access travel card: 31 SEK (~ $3.35) adults; 21 SEK (~ $3) other categories. As a tourist in Stockholm you will enjoy the sortiment of period tickets – travelcards – which will entitle you to travel for for 24 or 72 hours and 7, 30, 90 or 365 days. After a few years without any rise on their prices this year has seen a minimal increase. 72-hour travelcard: 250 SEK (~ $27.65) adults and 165 SEK (~ $18.40) others. Notice that you get a day for free as the price matches two 24-hour travelcard but you are allowed to travel during 72 hours. If you are planning to buy a 24-hour or 72-hour period ticket you need not buy an SL-Access card because both period tickets exist in a paper version. * Prices updated on January 2018. Exchange rate may differ. If you are interested in traveling by train between Arlanda airport and Stockholm central station you can do it by paying an extra fee. If you already have a valid ticket or enough money in your travelcard to do a single journey you will only need to pay a 120 SEK (~$13.85) fee. Otherwise you can buy an airport valid single ticket for 150 SEK (~ $17.25) adults or 140 SEK (~ $16.10) other categories. Those under 18 need not pay an extra fee and can travel to Arlanda airport on a regular single ticket. With single tickets you are allowed to travel for 75 minutes and with travelcards during the indicated validity period. 24-hour and 72-hour travelcards work in 24-hour periods, that is, upon activation at 2 PM on a given Monday it will be valid until Tuesday 2 PM or Thursday 2 PM respectively. 7-day travelcards count calendar days. Upon activation at 11:50 PM on a given Monday night it will be valid until 11:59 PM on a Sunday night. Is it so? Yes. It experienced it myself when trying to use the cheapest way to travel to Arlanda aiport and not being able to do it because my card had already expired. nr 80 Frihamnen to Nybroplan through Allmänna gränd on Djurgården beside Gröna Lund amusement park. This bus line is perfect if you are arriving in Stockholm on a cruise and during the port of call want to visit the museums in Djurgården. This is the red route from point 1 to point 3 in the next map. nr 82 from Slussen to Allmänna gränd on Djurgården with a stop-over on the island of Skeppsholmen. This bus line is also used very frequently to get to the museums in Djurgården from Södermalm or Gamla Stan. This is shown as a blue route from point 5 to point 2 through point 4 in the map. nr 84 from Nybroplan to Hammarbysjöstad – available from spring time only – useful to visit Stockholm’s most ecofriendly and sustainable neighborhood known as Hammarbysjöstad. My map features this route in fuchsia from point 3 to a place outside the map. 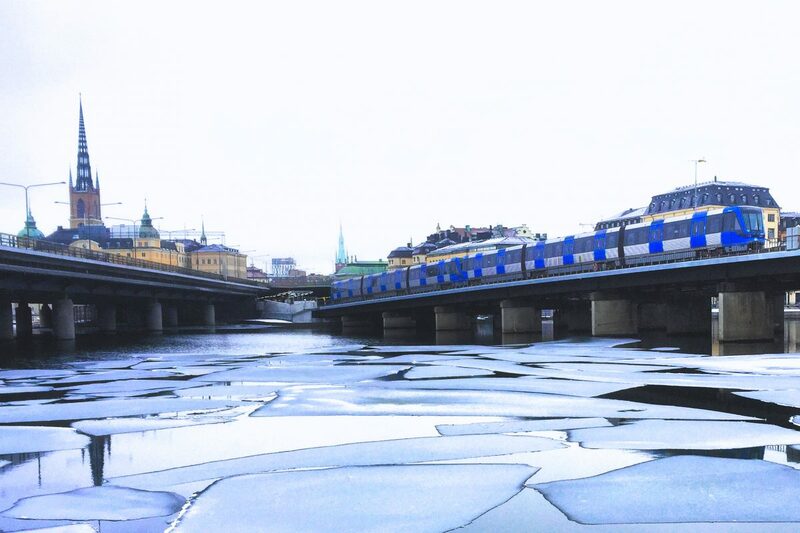 nr 85 from Klara Mälarstrand – out of service indefinitely since Jan 1 2019 – in the surroundings of Stockholm Central Station and Stockholm’s City Hall bound for Kungholmstorg whose deck is located a little bit beyond Stockholm City Hall. Orange route from point nr 6 in the map to point nr 7, Söder Mälarstrand, and then Kungholmstorg. nr 89 connecting Ekerö, the island where Drottningholm palace is located (although ver far away from the boat stop), to the island of Lilla Essingen in central Stockholm. This boat line works on working days only. Not featured in the map as it is not used by tourists. If you wish to visit Stockholm from the water you will find a lot of boat sightseeing tours and excursions in Stockholm & the archipelago included in the tourist visitor card Stockholm Pass. See my article on How to Buy Your Stockholm Pass With a Discount. 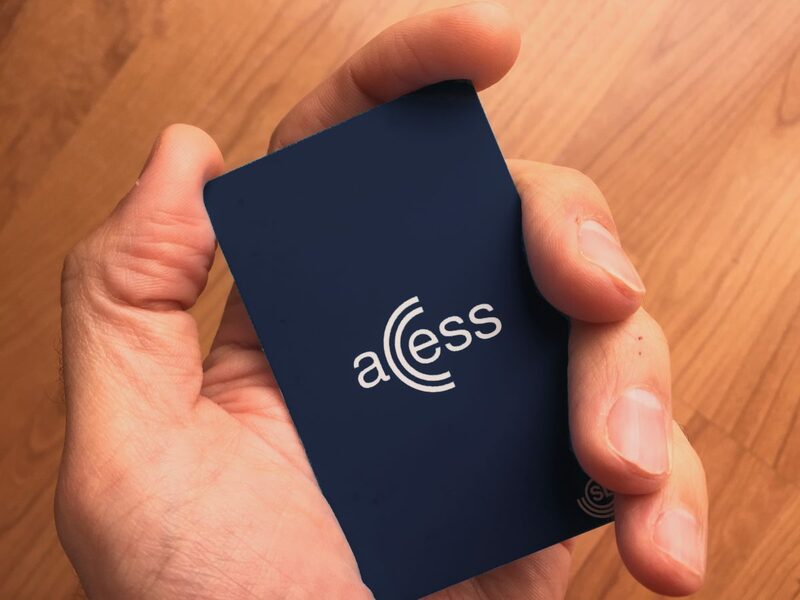 You can buy your SL-Access card at the counter on underground stations, SL-centers and kiosks (Pressbyrån, 7-eleven, etc) as well as at some hotels. 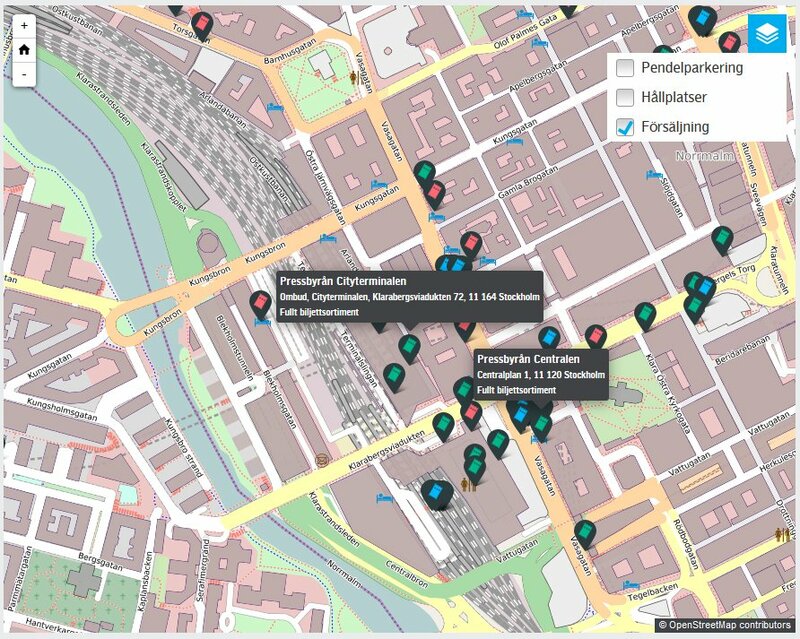 If you are looking for a reseller near your accommodation in Stockholm, browse through the map located at Stockholm transportation official website, click on the map on the Symbols layer and choose Sales point to show all of them. In this screen capture I chose two Pressbyrån kiosks located near the central station and Cityterminalen where the airport transfer buses depart and arrive. 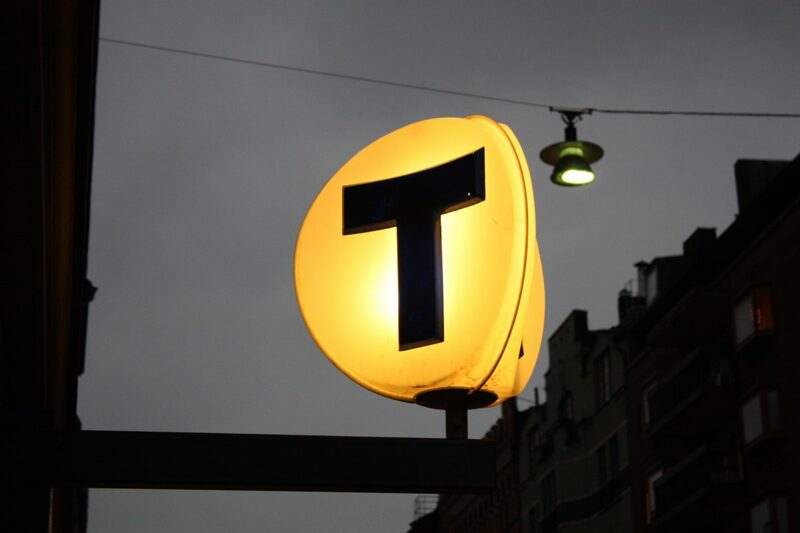 Underground stops are marked with a big T sign standing for the Swedish word tunnelbana, train stations with a big J for järnvägen, tram stops with an S for spårvagn and the commuter trains are usually know as pendeltåg. Moreover, bus stops show an H sign for hållplats and boat decks are marked with the Swedish word brygga. 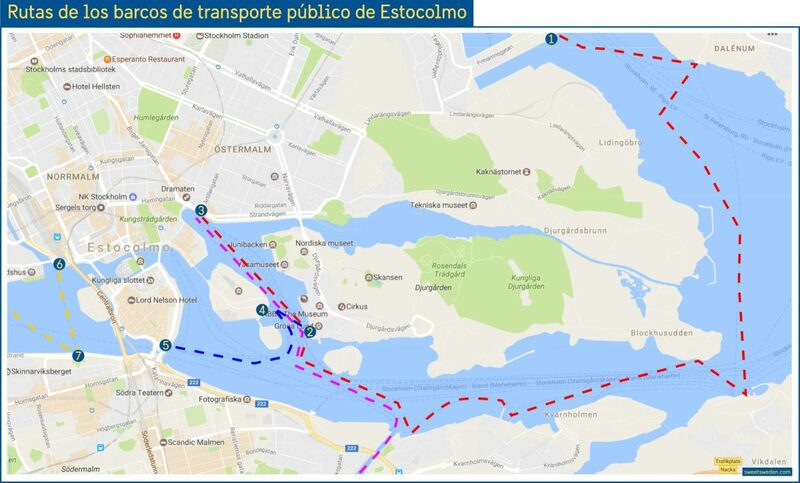 You can find PDF maps for the entire transportation network in Stockholm on SL official website. For instance: map for commuter trains and underground, underground only, commuter trains only, tram, bus lines in the heart of Stockholm, or in the south of the city and from bus terminals to know the different departure locations. If you are interested in planning your trips in advance or during your stay you can use the planner on SL website. Providing the current location and the destination you will be given the best and the fastest way to travel between these two points. This is my complete guide on how to use public transport in Stockholm. I hope I didn’t forget anything. If you have any questions, suggestions or want me to help you plan your stay write me a comment below. We are visiting Stockholm for 2 days. From your post I am convinced that the 72 hour paper pass is the way to go. The only part I am not clear on is whether we can use this for the trip from the airport to Stockholm via Commuter train. Hi Kimberly yes you can buy a 72-hour paper card upon arrival in Arlanda and travel to Stockholm using bus 583 and commuter train as explained here. For the option of taking the commuter train directly in Arlanda you need to pay an extra fee which I wouldn’t. I hope this can help you. Feel free to ask any other doubt you may have. Thanks for the advice above. However, I have some questions to ask. 1. We will be staying at STF af Chapman & Skeppsholmen Hostel, Norrmalm for 2 nights and then move over to an apartment in Norra Botkyrka, Stockholms län for the remaining 5 nights. I will be grateful if you can point us to grocery stores (not necessarily big ones) around STF af Chapman & Skeppsholmen that will be open after 7 pm on 24th through 25th since we will be arriving about that time. We don’t want to stay hungry and as well we don’t want to spend much eating out. 2. How far and easy is it to navigate from Arlanda airport to STF af Chapman & Skeppsholmen Hostel, Norrmalm? Could you help with a description? Also, how can we navigate to Norra Botkyrka, Stockholms län from the Hostel? 3. Are the main tourist attractions and fun places easily accessible from both of our reserved accommodations by public transport? We will be thankful if you suggest fun places to us as well. 4. We chose Stockholm for many reasons notably because of the opportunity to take a cruise ship to Åland from Stockholm at a next to nothing rate. The ship is set to take off from Värtahamnen (don’t know this place by the way, lol). Please, could you brief me on that since I don’t know much about it? Thanks so much for the anticipated favourable reply.Sorry for the long post as well. 1) It can be really difficult to find something open on that night. I advise you to stop by Central Station and check Coop Centralen or Hemköp (towards the exit at Sergels Torg). Otherwise try to find something to eat at 7/11 and the likes also at Central Station. 2) On that night I would recommend you to take the airport bus from Arlanda to Stockholm Cityterminalen. From there take the bus nr 65 at Klarabergsviadukten towards Östasiatiska Museum which is on Skeppsholmen island 100 meters away from the Ap Chapman hostel. I checked this now. There won’t be any bus that night. You need to take the blue metro line to Kungsträdgården (2 min ride) and walk from there (800m or 8 minutes) or take a taxi directly at Stockholm Central Station (watch out for the fares!). I put your walk on a map here. Norra Botkyrka is a part of the municipality with the same name. It’s difficult to know how to get there without knowing more exactly where to but I think metro line red towards Norsborg might be what you are looking for. You have other stops at the end of the same line: Hallunda, Alby, Fittja that also belong to Norra Botkyrka. 3) Yes if you buy the 7-day ticket you can easily travel through the city. From Af Chapman you can get to Skeppsholmens deck (link to Google Map) and board a boat towards Djurgården Island where the main museums are (ABBA, SKansen, Vasa, Vikingaliv, Nordiska, etc). From Botkyrka, let’s say Norsborg, it will be a 35-minute ride to Gamla Stan, the Old Stockholm, and 40 min to central Stockholm. 4) Värtahamnen is one of the main port of calls and it is located on northeastern Stockholm. Here a link to the destination on Google Maps. If you are traveling from Botkyrka the best way is to take the red metro line to the other end at Ropsten and then board bus nr. 76 towards Norra Hammarbyhamnen and get off at Värtahamnens Färjeterminal. It can take more than an hour from Norsborg to Värtahamnen. Thanks so so much Israel for taking the time to describe and explain in details. I want to ask if there is a public transport app for Stockholm and environs on the playstore to make the navigation easier to follow through. Sure there is the Journey Planner for Stockholm. It will help you to navigate in the city. Can I travel by Commuter rail (40, 41, 42, 43, 44, 45, 48) on single use travelcardd for 72 hours (like on this website https://sl.se/en/fares–tickets/) ? I witch cheapest way can I travel from Stockholm-Skavsta Airport to Stockholm City? Can I buy single use travelcards for 72 hours on Stockholm-Skavsta Airport ? 1) Yes you can travel on all commuter trains within stockholm and metropolitan area with any ticket. 2) you cannot use SL tickets for skavsta as the airport is not inside Stockholm’s county. Here I explain the best way to get from Skavsta to Stockholm. My wife and I are making a short visit to Stockholm from our cruise ship. We have a full day to explore and then go to Arlanda the following morning. I love your detailed explanation about Stockholm public transportation and I believe that we could use a 24-hour SL-Access card to our benefit, especially if we could use this card to go to Arlanda. It would save us a lot of money. Could we do that? Would you be kind enough to explain? Thank you so much. Hi Giovanni, thank you for your kind words. Sure, you can use the 24-hour SL-Access card or even buy a cheaper (because you don’t need to buy a physical card) 24-hour paper ticket. Let’s say you need to be at Arlanda at 9:00 AM. You would buy the card or paper ticket and use it on day 1 after 9:00 AM and visit Stockholm. On day 2 around 7 AM you’d go from your accommodation (cruise?) to Stockholm Central Station and from there to Arlanda by commuter train and bus. I thought I had the article written in English but it was just available in Spanish. I am going to write it now. – At Frihamnens Färjeterminal bus stop take the bus 76 towards Ropsten. – Get on the red line metro towards Norsborg. – Get off at your desired terminal. The whole journey may take up to 1h 45 min depending on transfer times. Thanks, Israel. Our ship will be docked at Stadsgården 160, next to Fotografiska Museum. I imagine we will need to walk to Slussen? Hi again Giovanni. There are two options to get from Stadsgården to Slussen. – Walking on the opposite direction for 5 minutes towards the Londonviadukten bus stop (on map here) and getting on a bus to the city center. Buses Nr. 434, 441, 443, 447 and others will get you there. – you can only travel from Skavsta to Stockholm by private bus with the Flygbussarna company. – you can buy a ticket when you arrive: 139 SEK one way for adults, 119 SEK for kids (8-17 years old) and free under 8 years of age. – there is a bus leaving Stockholm City Station at 5:45 (some days at 5:50) in the morning and arriving at Skavsta at 7:05 / 7:10. This is the one for you. But you should check the departing times before just to be sure that you make it on time. How is the paper version 72 hours travelcard used ? Does it have a bar code that one needs to scan at the card machines or something like that ? Bit confused about child age limit for free travel over the weekend . Is it under 12 years or upto 12 years ? Can I utilize 72 hours Travelcard to take Archipelago tour at Stockholm ? you need to scan the barcode at the gates before entering. Regarding traveling with children it’s under 12 years. He/she must not be 12 at the time of traveling. No you can’t travel with public transportation to the archipelago. The boats to the archipelago are from the private company Strömma. You can check here the available boat tours and single price. But if you are interested in doing a lot of sightseeing and boat tours it might be better to buy an Stockholm Pass for your stay. Thanx Israel. Nice of you to reply and clarify. Out of our 3 days stay (in May) at Stockholm, we intend to spend 1 day at Gorna Lund amusement park with kids and other 2 days doing some sight seeing. We don’t want to make it very hectic so we thought Stockholm pass might not be worth. Instead we could pick 72 hours travelpass and cover places on our own. Would you please suggest me a few places, in and around Stockholm, that could be reached with Travelcard, using all modes of transports being offered on the card. Can we go to Drottningholm Palace with the travelcard ? Is there an entry ticket to the palace ? As suggested by you, Stromma tours sounds interesting ! I read somewhere about Waxholmsbolaget ferry for Archipelago trip, Also the blog said they accept travelcards. Would appreciate your inputs please. I would recommend to access by bus / tram the island of Djurgården and go for a walk there. Other interesting places are the lookout at Monteliusvägen accessible from Slussen metro station. I also like the area around Tantolunden and Hornstull Strand accessible from the Zinkensdamm and Hornstull metro stations on Södermalm Island. Check here for an automated Google Translation in English of my Spanish article about 10 best lookouts in Stockholm. And check here for more things to see and do in Stockholm. Outside of Stockholm I would probably choose a day trip to visit Sigtuna about 45 km away. That is also a trip you can make on your period ticket. You can reach Drottningholm Palace on a boat tour with Strömma with entry fee included and also with the public transport system on the underground traveling from T-Centralen station to Brommaplan (green line) and getting on the bus nr.177 or 311 and stopping at Drottningholm. Entry ticket for this option is 130 SEK for adults and 65 for kids 7-17 years old. The Waxholmsbolaget Archipelago boats were available last year for holders of SL-Access cards filled with long-time tickets (30 or 90 days or more). But they are not available any longer. If you are considering a boat tour, a visit to Drottningholm and some other museum you should check the Stockholm Pass tourist card because it can help you save some money in your visits. Hi Israel, Going by your suggestions and blogs, we realized 3 days Stockholm pass works best for exploring the city. Thanx for helping us with the decision. We’ll be docking at 10.30 am at Värtahamnen Tallink Terminal. We’ll then have to travel to Bromma to drop our luggage, thereafter go to redemption centre to get our stockholm pass activated. This itself will take our half a day. I guess there is no redemption center at the terminal, otherwise it would have made it possible for us to leave the luggage at the terminal locker till evening and board their hop on hop off bus for sightseeing soon after landing. Would you please let me know if there is a provision to purchase 72 hours travel card at the Terminal or cruise ? If not, which is the nearest place from the Terminal we could buy our travel card and how could we reach there. you if you buy your Stockholm Pass online you can have it sent to you as a QR code and you don’t need to redeem it anywhere which will save you time. You can even board the hop on hop off bus after docking. Then you can buy the 72-hour travelcard separately upon arrival in Stockholm. 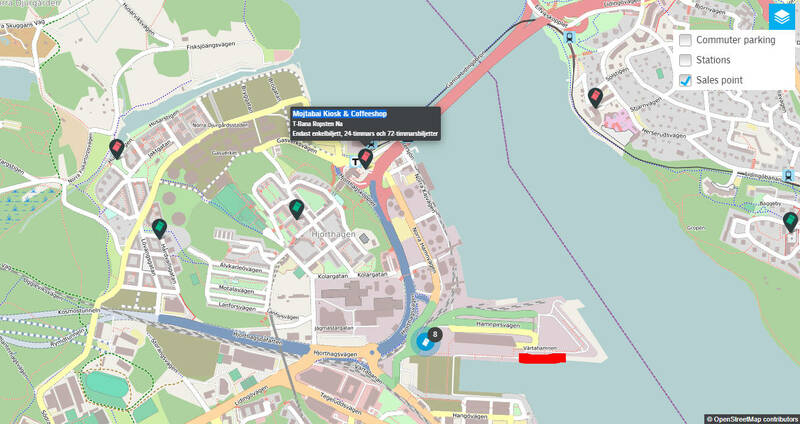 As per this map the 72-hour cards should be available in Värtahamnen (marked in red on the map) at the ship’s information desk (marked with an 8 and the tickets symbol). Otherwise the nearest place is walking towards Ropsten metro station and buying it at Mojtabai Kiosk & Coffeshop at Gasverksvägen 50, 115 42 Stockholm. Hi Israel, Thanks for your fantastic inputs. You’ve been a great help. God bless you ! Thanks for your comments Mini I hope you enjoyed your stay! Trip is planned for next month. Can we take my luggage on hop-on-hop-off from the cruise port ? We are arriving in morning by cruise, check in at Broma hotel is only by 3 pm. Wondering if we should leave our luggage at Åhléns and go on sight seeing straight away. I don’t know of Åhléns but there are lockers in Stockholm at Stockholm Central Station. I think you could do both: leave the luggage in the city center and pick it up at night before going to Bromma or traveling to Bromma leave the luggage there and pre-check in and tell them you’ll check in properly at night when you are back to the hotel. Hi :) We have around 7 hours free time in stockholm during a cruise. I think we are arriving in Frihamnen? is the best way to get into Gamla Stan to walk to Gardet station? If so can we buy a 24 hour ticket from this station? Is it an easy process? We think the 24 hour ticket would be best for us as we also want to do an art tour of the stations if we have time! Hi Julie it’s a long walk. Best would be to take the bus towards Norra Hammarbyhamnen and getting off at Karl XII Square. From there it is just a 10-min walk. If you are docking at Frihamnen you can buy a ticket at the Visit Stockholm’s Tourist Office by the ferry terminal. also thank you very much for this website, I have been looking all over the internet for this information and yours has the most information in the best format! !